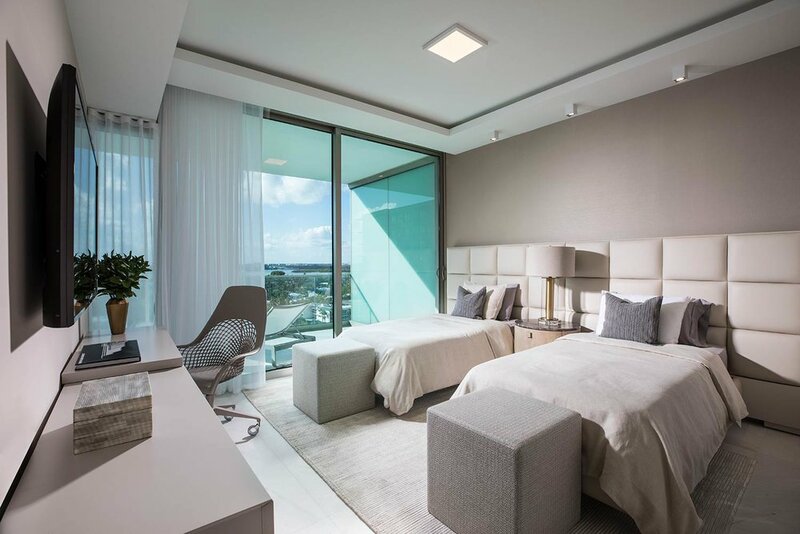 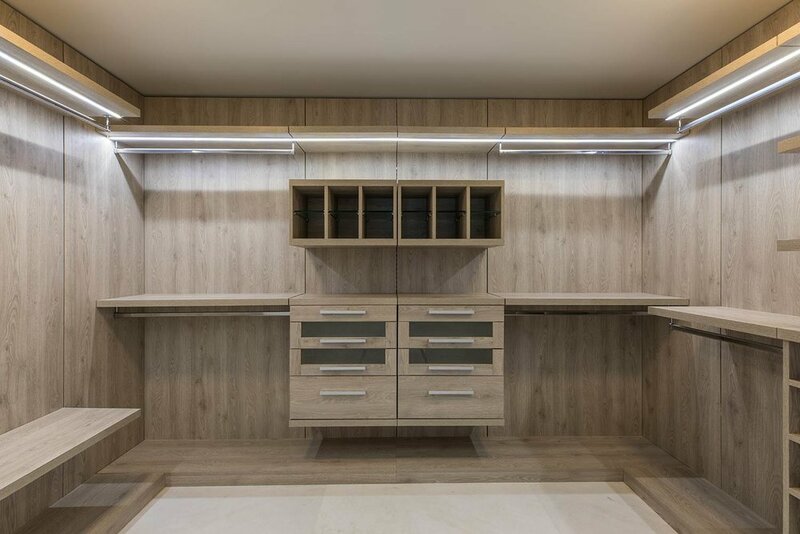 Designed by Artefacto and built by Finish-My-Condo, the 4,185-square-foot unit with three bedrooms, four and half bathrooms, natural materials, including linens, stainless steel and exotic woods in perfect symmetry. 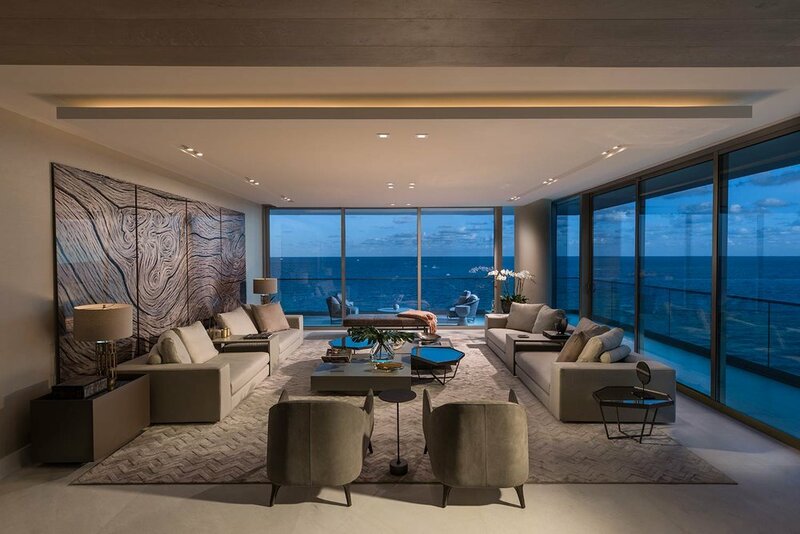 Floor-to-ceiling walls of glass showcase the ocean and Biscayne Bay, while the unit’s walls exhibit masterworks from Daniel Maman’s Latin American and contemporary art gallery. 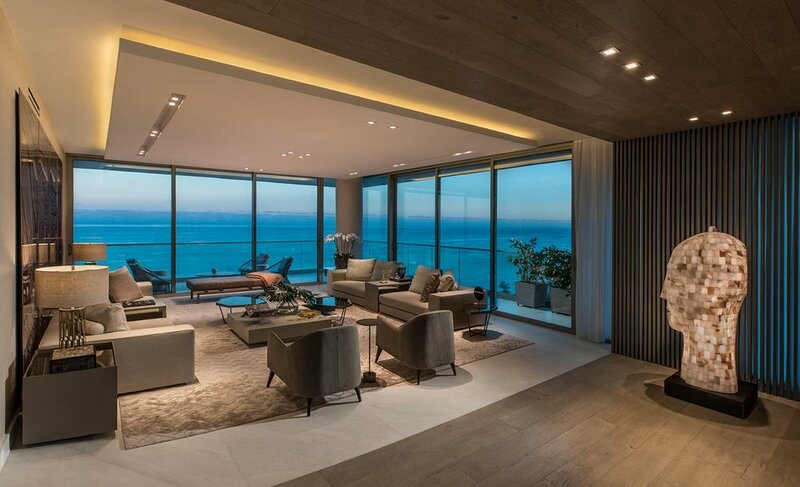 The dwelling also includes a service quarters, den, and private elevator foyer. 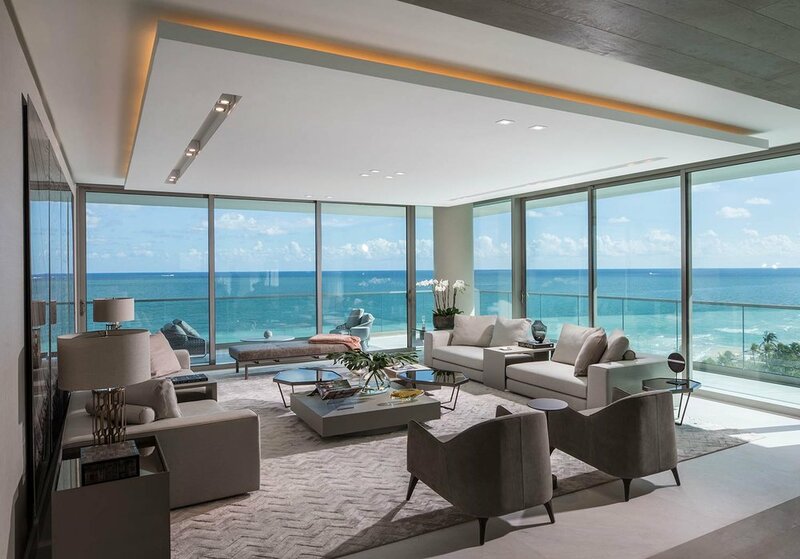 Outside, the 1,595-square-foot terrace has east, south, and west exposures.